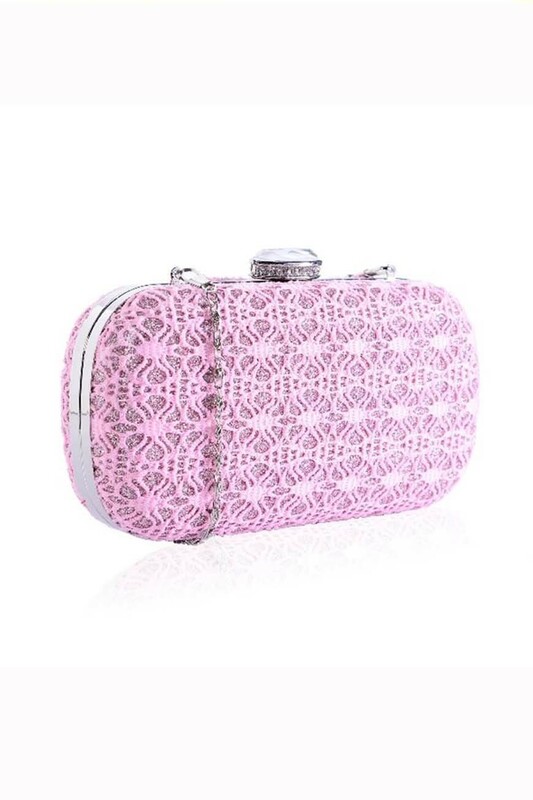 Style perfection comes in the form of this pretty pastel Pink Lace Clutch, that will compliment every item in your wardrobe and hold its own at any special occasion . You can't go wrong with pink and this season it's making its pretty pastel presence known! With a vintage floral lace overlay, large diamante clasp and delicate size this feminine floral lace handbag would make a stunning wedding accessory but could work equally well with a 50s printed tea dress too. This versatile bridesmaid clutch could also happily accompany you to that awesome party too as hiding beneath the delicate pastel lace is a dusting of go get 'em glitter. This pastel pink lace clutch bag has a beautiful floral lace overlay which is set on a pink glitter background. It has a large metallic clasp, which is set with delicate diamantes and a long detachable silver chain. Measuring: W:19cm x H:10cm.